The time of year has come around once again for those who suffer from pollen allergies. While many people are enjoying the perfect springtime temperatures, blooming flowers and beautiful Florida sunshine, allergy suffers may be finding themselves in a losing battle with the fresh layers of pollen that seem to blanket everything. In addition to having symptoms of sneezing, congestion and a runny nose, most of these allergy sufferers also experience itchy eyes, watery eyes, red eyes and swollen eye lids. 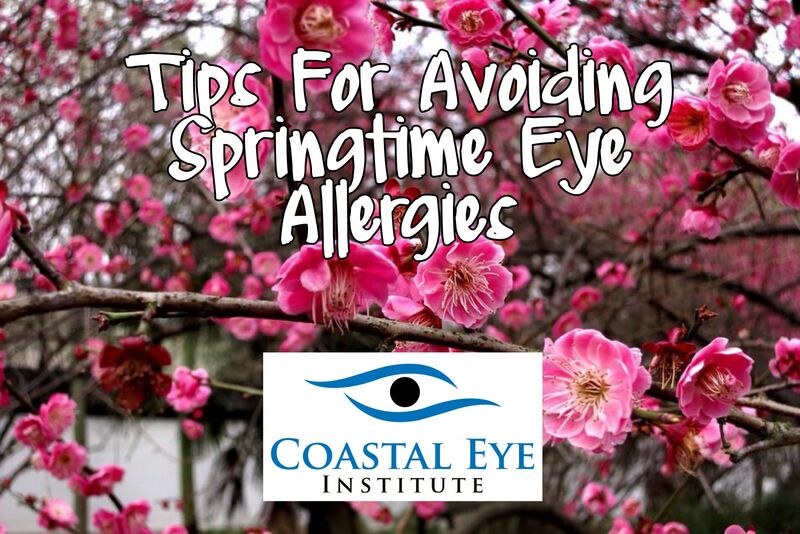 If you think that you may be suffering from eye allergies, here are a few tips to make the springtime more enjoyable for you. Check your local pollen count and avoid spending prolonged periods of time outdoors when pollen levels are high. Studies have shown that pollen levels are usually highest during mid-morning and early evening hours. Use your air conditioning when you are at home or driving in your car. This will help to filter out the pollen that is causing you discomfort. It is also important to make sure that your air filters are clean so that they can perform at the highest efficiency. Avoid rubbing your eyes at all costs. While you may feel like it helps provide some relief, it can actually cause more irritation in the long run. Artificial tears can help to relieve allergy symptoms by flushing out allergens from the eye. They can also help to provide relief to dry, irritated eyes by adding moisture. These drops are available without a prescription and can be used as often as you need them. Decongestants can help reduce redness in the eyes caused by allergies.